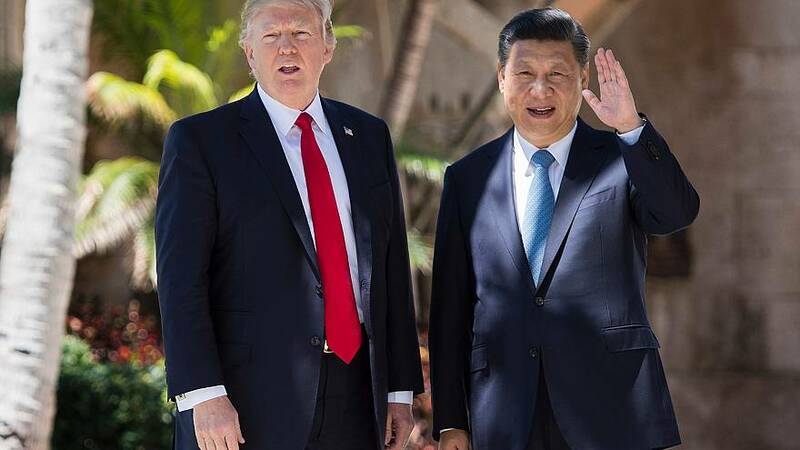 WASHINGTON — President Donald Trump said Sunday he has instructed his Commerce Department to help get a Chinese telecommunications company "back into business" after the U.S. government cut off access to its American suppliers. ZTE has asked the department to suspend the seven-year ban on doing business with U.S. technology exporters. By cutting off access to U.S. suppliers of essential components such as microchips, the ban threatens ZTE's existence, the company has said. During recent trade meetings in Beijing, Chinese officials said they raised their objections to ZTE's punishment with the American delegation, which they said agreed to report them to Trump. Rep. Adam Schiff of California, the ranking Democrat on the House Intelligence Committee, criticized Trump's decision in a reply to his tweet late Sunday. "Our intelligence agencies have warned that ZTE technology and phones pose a major cyber security threat," Schiff said in the tweet. "You should care more about our national security than Chinese jobs." Trump later tweetedthat while the two countries were working together, past trade negotiations "have been so one sided in favor of China." "China and the United States are working well together on trade, but past negotiations have been so one sided in favor of China, for so many years, that it is hard for them to make a deal that benefits both countries," he said in the tweet. "But be cool, it will all work out!"